How Long Do Running Shoes Last? | Brooklyn Running Co. It is an age-old question. We hear this inquiry every day in our shop. The answer most often found in articles or from shoe retailers and even the manufacturers alike has been of the one-size-fits-all variety: “a typical running shoe should last 300-500 miles”. If someone tells you that your shoe should last about 300-500 miles, well, that’s lazy. And frankly, not helpful at all. (It’s a 66% variance!) People are confused. Therefore, we take a different approach at the Brooklyn Running Company: a good fitting starts with a good conversation. 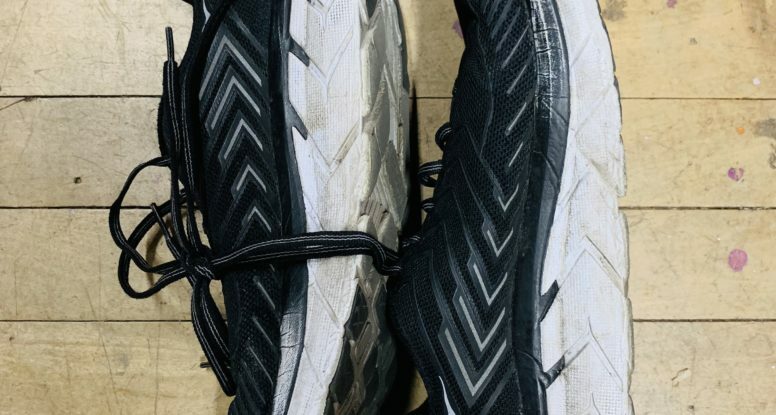 Are the shoes being worn for other uses (gym, walking to work or around the neighborhood, wearing it to the bar, etc…time on feet is time on feet, after all)? So how long DO shoes last anyway? There are several layers to this question that must be addressed, so let’s delve into the weeds. We break it down for you in a few different sections, beginning with a brief discussion on shoe “foam” (i.e. base level cushioning) and the effect its degradation has on a shoe’s lifespan. In recent years, there have been advancements in the type of materials shoe manufacturers use to construct their shoes’ midsoles. The cushioning of traditional midsole materials degrade -in part- due to the slow release of air particles from the foam as your repeated foot-strikes compress them. Over time, the cushioning loses its resilience and gets flat and unresponsive. Akin to the age old frog approaching its demise in boiling analogy, this happens slowly, so most runners aren’t even aware of it until their legs start to get unusually achy. As discussed, shoe companies have historically used a foam blend known as EVA (Ethylene-vinyl acetate), or some variation of that material. EVA has proven to be a sufficient shock absorbing material for running shoes, being forgiving enough on impact but still having enough substance to help spring your weight forward on toe-off. However, some footwear brands have recently come out with new shoe technologies to help mitigate or delay this breakdown process. Adidas, for example, was one of the first manufacturers to incorporate a midsole material called “TPU” (or “Boost,” as the name for their variation of it) which is now in most of their running shoes. This material consists of thermoplastic polyurethane pellets fused together to create the midsole. TPU material does not contain air molecules and therefore, the argument is that TPU shoes are able to maintain shape (and thus your shoe’s overall durability) for longer periods of time. Other brands such as Brooks, Hoka, New Balance, Nike and Saucony have all come out with their own proprietary take on the best midsole cushioning materials, and they can vary across individual models. Each has its unique pros and cons for the discerning consumer. Whether you use a TPU-based midsole or an adaptation of EVA, there are other factors that will affect your shoe’s lifespan. These can be of notable importance depending upon where you live, how you live, how you run and how you store your shoes. Believe it or not, temperature and/or climate (including the variability of it) affect the lifespan of your footwear in a number of ways. In colder temperatures, where there is less moisture in the air, your shoe actually firms up under-foot, creating a slightly stiffer shoe sole and ride (on the run). It’s not just your muscles that are cranky on cold days! If your shoes are stored outside or near a less-insulated area of your house or apartment, this may actually cause the shoe’s midsole cushioning to feel firmer than it would under a more temperate setting. On the contrary, temperatures above the norm (anywhere above 80 degrees) may cause the cushioning elements of your shoe to soften up, again affecting both the ride and the feel underfoot. Footwear lifespan can be compromised considerably in extreme temperature/climate conditions and large swings in it. Residents of the Northeast face this challenge because outdoor temps can swing by more than 100 degrees within the same calendar year! Their answers were consistent; generally speaking, the process of midsole cushioning degradation, excluding that caused by impact force, takes up to 5 years before one is able to detect any noticeable difference. That’s good! However, what was interesting to discover is that the glues holding all of the different pieces of the shoe together are what break down first. And there are reportedly large differences between the quality of glues used by the brands, resulting in some shoes breaking down faster than others do. So your midsole will be fine, but that doesn’t really matter if the rest of the shoe will have fallen apart. Eeek. Another new trend in running shoes involves a “maximalist” cushioning approach. This trend was popularized by Hoka One One with the introduction of shoes like their Clifton and Bondi models. The idea behind “maximalist” running shoes is to include a very high level of cushioning (i.e. stack height) into a shoe’s midsole to create less direct ground feel to facilitate a more comfortable stride over the roads. In many cases, this approach also includes mechanisms in place to help feet transition from ground-strike phase to the take-off phase more effectively. For example, Hoka’s approach involves the use of a “meta-rocker” which creates a fulcrum type effect, promoting a smooth and efficient toe off after a soft, smooth landing. Other companies have developed similar technology, most notably perhaps the new Nike VaporFly 4% shoe, which couples a cushioning material that boasts a very high degree of energy return (“Zoom X”) with a spoon-shaped carbon fiber plate that runs through the midsole from heel to toe. 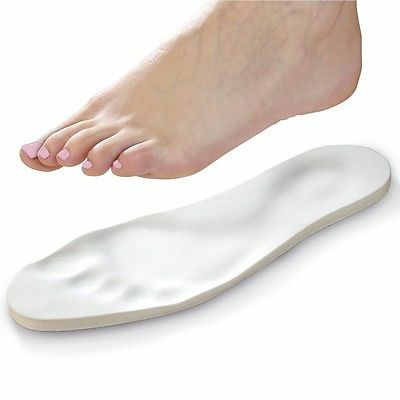 This plate acts similarly as a fulcrum, providing a stiff counter to the soft, spongy Zoom X foam surrounding it, and aiding the foot and body’s ability to transition from foot-strike to toe-off. But how does this all translate to footwear expiry? Because even though max-cushion shoes may offer more substance underfoot, they’re not necessarily going to provide additional miles. Nike’s 4%, for example, has been reported to break down after 200-250 miles…but oh don’t those miles feel so nice?! Being aware of the midsole composition in your running footwear is important when assessing the projected life of a shoe, regardless of how substantial the sole may appear. And while many max-cushion shoes can potentially last longer than their less beefy counterparts, there can also be a faster perceived reduction in performance because they provide so much cushion initially. In conclusion, trust your own experience and listen to your body. If you think your running shoes are expired, there’s a good chance they probably are! Still not sure if your shoes are worn out? Bring your current pair in and let us have a look. We’re happy to give you an honest assessment of the remaining life and counsel you through the next moves.